Free street parking is available anywhere along West 7th Street, or immediately in front of (i.e. the same side as) Waldmann on Smith Ave, between the alley to the north and Goodrich Street to the south. DO NOT PARK ACROSS THE STREET OR NORTH OF THE ALLEY BEFORE 8PM, OR YOU MAY BE TICKETED! 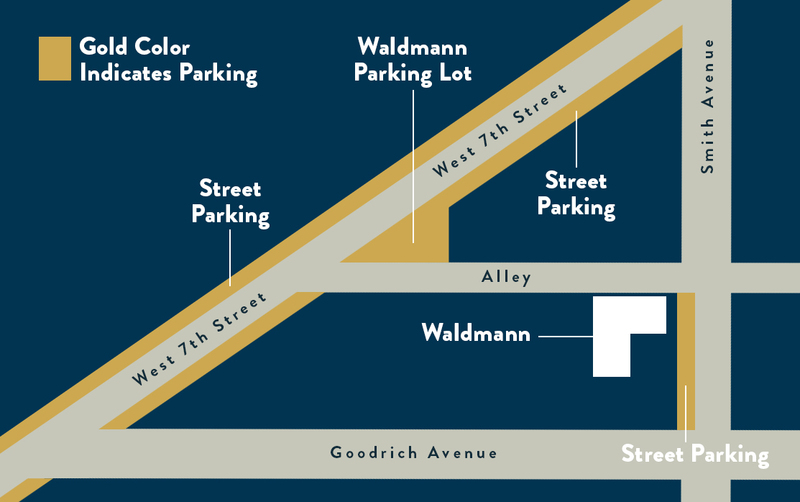 Waldmann also has a six stall parking lot down the alley to the west, near the corner of Douglas Street and West 7th Street. Ample bike racks are available in our parking lot, and in the green space immediately south of our building.